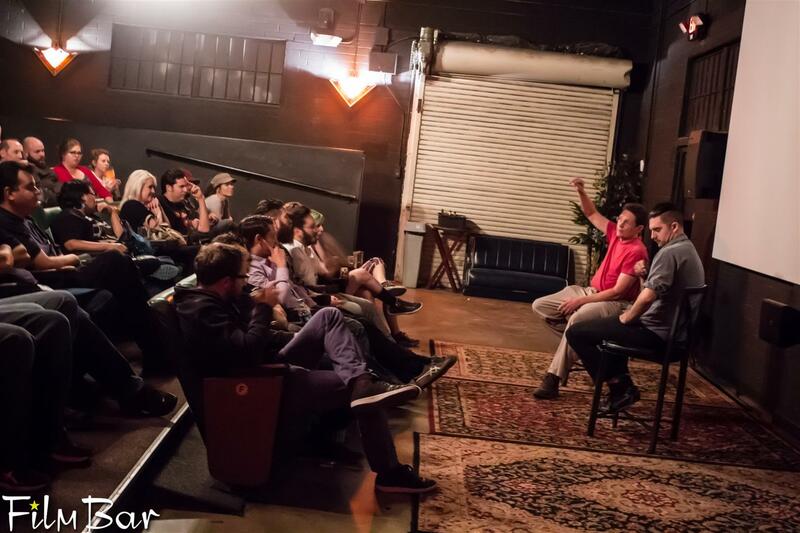 Want to have FilmBar to yourself for a private screening, or an offsite meeting, holiday party, presentation, or client meeting? Our distinctive Downtown Phoenix location offers a genuinely unique experience for private parties or company events. The movie theater rental is only part of the package as we also provide use of our comfortable lounge and bar area. Our theater seats 76 (though we can squeeze in a few more). Prices start as low as $500 for a two hour block! Tempting, huh? 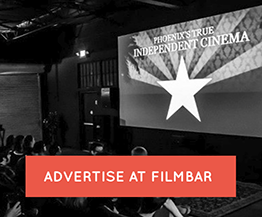 If you would like to come in for a tour to check out the bar and a theater demo, please give us a call at 602-595-9187 or email events@thefilmbarphx.com to arrange a visit. Treat your team to some beers and a movie. They deserve it. If you want to make them work for it you can have your team building meeting in the lounge before the movie rental in the theater. Your PowerPoint is going to look just fantastic up there on the big screen. All you need to bring is your laptop (with HDMI port!) and you’ll be good to go. Celebrate your fabulously successful meeting with a film of your choice and some tasty beverages. 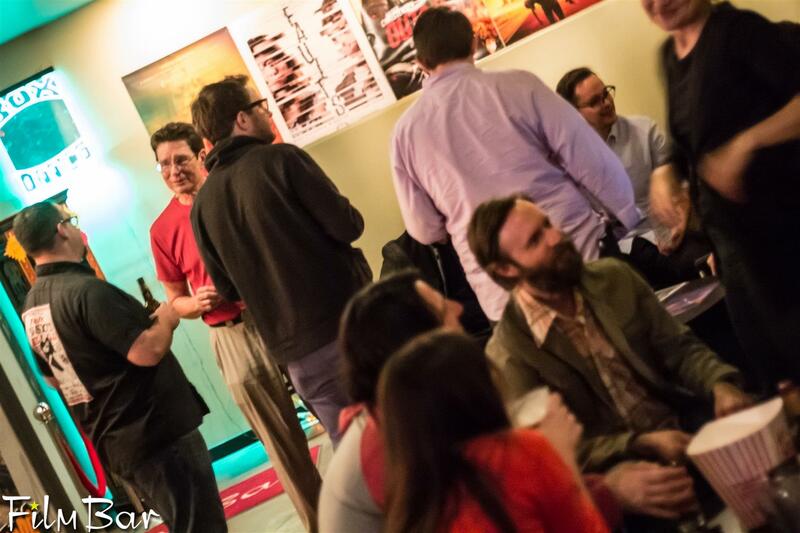 Show your clients the red carpet treatment at FilmBar. We partner with several Downtown Phoenix restaurants who can cater your event. Host your guests in the lounge with drinks and food in the lounge prior to enjoying your movie in the theater. Choose your (or another’s) favorite movie, guilty pleasure, or anything else. You can personalize your event with photo slideshows and home movies. We promise to keep it a secret. The fun options are endless! Holiday parties, book clubs, girls’ nights, your sports team’s highlight reel, video game night, even a movie….whatever you want. We can work with you to tailor your event to your needs and ideas. How do you determine your rental pricing? Pricing depends on the day, time, length of your event and what films or services you require. As a guide, daytime pricing is lower than evenings. There is availability for events Friday through Sunday during the day, but weekend evening rentals are not currently available. Can I book FilmBar during weekends? We can accommodate events on Friday, Saturday & Sunday in the daytime. For now, we have only one screen and the theater needs to be open to the public on weekend evenings for our regular programming. You will have exclusive use of the theater for the duration of your rental. If your event is outside of our normal business hours, your party will also have the exclusive use of the lounge area. During our scheduled opening hours (after 5pm) the lounge will be open to the public, but the use of the theater will still be exclusive to you. If you are bringing handouts or decorations we will need a 15 minute period before and after your event for set up/clean up. A deposit equal to 20% of rental fee is required to secure your event. Full payment required 14 days prior to date of event. Cancellations inside 14 days from the event date will result in a partial refund of 50%. What food and drink do you serve? We serve an extensive range of draft & bottled beer and cider, and a choice of selected wines as well as traditional cinema popcorn, soda and candy. We also serve (extremely delicious!) tamales, from the awesome Tamale Store in Phoenix. Can our event be catered? Yes! Our primary catering partner is Carly’s Bistro. We’ve worked with them for years. They’re reliable, professional and their food is delicious! If you’ve got your own caterer, however, you’re very welcome to bring them in, too. It’s your event! What films can we show for our event? This is almost limitless. Almost 🙂 The earlier you can advise us of your desired film, the easier it will be for us to procure it! Can we bring our own film? Yep! For transmission from the theater to our control room for on-screen projection, all we require is that your laptop has an HDMI port. Are microphones and speakers available for live presentations? Can we sell tickets to our event? Yes. We can promote your event on the FilmBar web site and sell tickets via our ticketing platform. As it’s your event, ticket pricing is your call, but there is a ticketing fee of 99c per ticket (paid by the ticket purchaser). FilmBar retains 10% of the gross ticket sales. Can we display our literature, give hand-outs etc. during our event? Yes. We can set tables to accommodate literature etc. You can also bring easels, stands etc for display and we will be happy to accommodate these! Can those under 21 attend the event? Yes! But, they must be accompanied by a parent, generally speaking. An exception would be if the minor is performing, in some way, at your event. Sorry — no outside beverages are allowed!